Come on out & say "Hi"
Lucky Zelda has recently posted 4 additional mens' aloha shirts. These shirts are a great look. A little more subtle than the tradtional aloha shirt, these shirts still make a statement, just one that's not quite as loud and with more style. All of these shirts feature cotton or cotton/poly blend polynesian fabrics brought from Western Samoa. If you like the look of these shirts but want a specific size or color, please feel free to contact us. If you'd like to see other polynesian fabrics that are available, I'd be glad to send you e-swatches. Shay at Simply Doodles was awesome enough to include me in one of her treasuries, entitled A Vintage Christmas. This is a great little treasury filled with lovely vintage items from California sellers and she was sweet enough to include one of Lucky Zelda's purses made with vintage fabric. Please click on the link of the treasury to check out all of the other sellers' shops. Simply Doodles is an Etsy shop that offers graphic design services. Shay's got some really cute designs. Please check out her shop to see this great talent. She also has a another shop, Simply Shay that has great vintage and handmade jewelry. Items that are perfect for stuffing those stockings. Lucky Zelda & her faithful friend Queen DeLuxe will be selling theire wares in Orange County this Saturday. 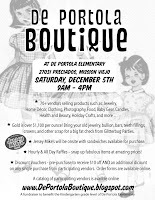 Please swing by the De Portola Boutique in Mission Viejo, CA. The show is Saturday, December 5th, from 9am - 4pm at 27031 Preciados, Mission Viejo. A sweet deal that this show is offering to customers is a Discount Voucher. Here's how the vouchers work: Pre-purchase a voucher for $10. Pick it up at the Will Call table on the day of the Boutique. Redeem your voucher at any participating Vendor to receive $10 off PLUS a discount on your entire purchase from that Vendor (discount may vary - minimum discount amount is 10%). And yep! Lucky Zelda is a participating vendor in the discount voucher program. This lovely treasury was put together by Arco Iris Handcrafted. It is a collection made up of members of CCCOE (California Crafters Club of Etsy). So if you shop from any of these featured sellers, you're shopping local! Please click here to check out the treasury up close. Also, check out Acro Iris Handcrafted's shop. They've got some great jewelery. These are my favorite of theirs! Thanks Arco for including me in your treasury! Prices on almost all Lucky Zelda purses have recently been lowered! There are also several new purses to choose from. Buy one for your best girl & while you're at it, don't you need you need a little somethin' somthin' for yourself? Take a look at Lucky Zelda & let me know what you think. Keep in mind that custom orders are welcomed, getting you the perfect handbag for you to carry this holiday season. AlliesAdornments had a great idea for a treasury. Gifts for Him. I know my man is always saying there aren't enough items for men on Etsy. Well, Allies has found some really neat items for the men in our lives. There is something for every kind of guy here. She was sweet enough to include one of my aloha shirts in this unique & beautifully curated treasury. Please check out this treasury , the shops that are featured and, of course, AlliesAdornment's shop. Thank you Allies Adornment & great job on your treasury! I came across Sew Sweet Stitches while looking at the almighty Heart-o-Matic (a several times a day addiction, I must confess). This shop hearted one of my purses so I wanted to see the wares available there. SUPER CUTE people! Super cute! Melissa at Sew Sweet was kind enough to let me know she was including my purse in a "treasury" in her blog. (labeled an "anti treasury by one of her readers. I LOVE it!). Please check out her blog AND her shop to support great talent & friendliness (she's really great)! I do have to say that her shop is now 1 item smaller. Sorry but I have Christmas shopping to do! This Saturday is the perfect day to start your holiday shopping! Lucky Zelda is participating in The Claremont Village Venture Arts & Craft Faire. The Claremont Village will be filled with over 450 arts & crafts booths including photography, pottery, jewelry, clothing, and garden knick – knacks. Lucky Zelda will be in booth #201 near the corner of Yale Avenue & 4th Street. Please stopy by & introduce yourselves. This is a great, family & dog friendly event. 2009 marks Lucky Zelda's second year participating in this annual event. Great shopping is to be had at this event. Why not start checking gifts off of that growing gift list? Here is a vintage pattern that I am getting ready to post. It's a lovely little number from the amazing 1940's. Keep an eye out on my shop for the new listing! This beautiful treasury is the 12th that Lucky Zelda has had the honor of being featured. Kelly of kellyjcallahan has put together this gorgeous treasury with a beautiful gothic feal. Thank you Kelly for featuring my silk purse among such beautiful items. Please check out the treasury and Kelly's shop. She sells her beautiful original watercolor paintings, prints & photographs. This one is my favorite of hers. Lucky Zelda has been up and running for over 2 years now. While I've always sold my items off line to customers, Etsy has been a great resource to get Lucky Zelda out to the world. This weekend Lucky Zelda celebrated a big milestone: 100 sales through Etsy! I've been looking back to where Lucky Zelda items have ended up & it just tickles me. Lucky Zelda is a name now known in many states in the U.S., several provinces in Canada, as well as over seas countries such as: Australia, Norway, Germany, and England. It's been so exciting to see this venture grow. Thanks to everyone who has spread the word about Lucky Zelda to their friends. Here's to the next 100 sales! Applied With Love was kind enough to include my wool wrap skirt in her beautiful treasury. It is a lovely collection of scarlet & creme & it has a really nice variety of textures and types of items. Applied With Love has a great shop with baby onesies applied with neat designs. This one is my favorite. Please click on the treasury link & Applied's shop link to offer your support. 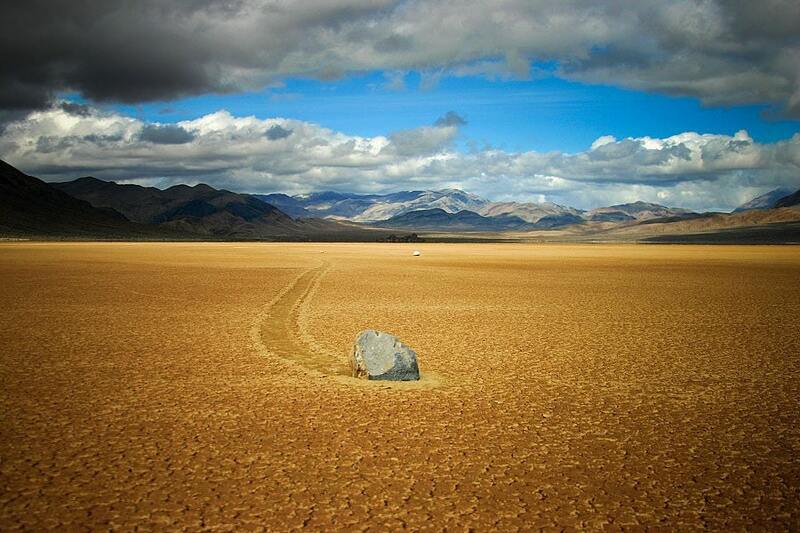 Thank you Applied With Love for your great treasury & including me. A day or so ago Navarro Creations let me know that she had included one of my bags is a treasury. I love it when treasury curators let you know when they have chosen a piece of yours to be a part of their collection. I am always flattered. Please click on the link of the treasury to check it out. Please also visit Navarro Creations' shop to see her beautiful pendants and other creations. This one is my favorite! Thank you Navarro Creations for including me in your awesome treasury! So it's been a week since Lucky Zelda participated in the Orange International Street Fair & life is just now getting back to normal. I apologize for the delay but I wanted to introduce you all to Oh, Hello Friend, whom I shared my booth at the fair. Danni of Oh, Hello Friend is a talented gal who makes has beautiful hair clips and jewelry for sale at her Etsy shop. Please support Oh Hello Friend by shopping her store & visiting her website. She was so great to get to know while manning our booth together last weekend. Next Sunday, September 20th from 5pm-10pm, Oh, Hello Friend will next be at Speakeasy: Indie Craft Fair at the Detroit Bar in Costa Mesa, CA. The address is: 843 W. 19th St., Costa Mesa, CA, 92627. Well we''ve just finished day 2 at the Orange International Street Fair. Other than the CRAZY heat it's going really well. We've sold numerous items from practically every section of our shop. We've also have been hearing great praise on Lucky Zelda products & craftsmanship. That's always so nice to hear. If you're near, Orange, CA please stop by between 10am & 10pm tomorrow. Booth #36 is where Lucky Zelda is calling home for the weekend! Lucky Zelda hit a milestone this weekend. We now have over 200 shop hearts! It is always so great to see when someone likes your wares enough to heart your shop so they can keep an eye on your products. Thanks to everyone who has hearted Lucky Zelda. This has been a great summer for us! I discovered a fun treasury this evening in which one of Lucky Zelda's purses is featured. It's always so fun to see what other treasures my creations have been arranged with to make a great little collection. Thank you to go2girl for including me in her treasury that she so aptly named "Hip to be Plaid; Can't Find These At the Mall". Isn't that what so great about Etsy? The things you find there are not available at any mall. Please go to Etsy to check out this great treasury and also check out go2girl's shop. She has gorgeous wares that is described as "earthy, nature inspired jewelry, all a bit different". These earrings are my favorites in the shop. I have been participating in & a team captain in Susan G. Komen for the Cure's Race for the Cure for the past three years. I am hoping fans of Lucky Zelda will make year #4 better than ever. Susan G. Komen for the Cure is an amazing organization that does amazing work in helping to find a cure for breast cancer as well as helping the community and those affected by this horrible disease. It only takes $125 in donations to give a mammogram to a woman who would otherwise not be able to afford this life saving procedure. I would love for you to join my team, Galatians 6:10, or support my involvement in this incredible event. I stumbled across a rather new Etsy shop the other day and I thought I'd share it with you. Dubland is a shop that sells breathtaking photograph prints. Beautiful landscapes, birds sailing up into the air or a quiet ship sitting in the mist waiting to head out to open waters. These are a few of the photographs that this photographer with an amazing eye has captured to share with all of us. Please go to Dubland to admire the work and to support this talented artist. 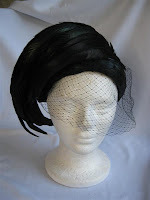 Just added today to Lucky Zelda is a new section: Vintage Hats. So far there are three hats. One each from the 1940's, 1950's & 1960's. There are many more hats to list so please keep checking our shop for the newest arrivals are great vintage hats. Whether you are a collect or like to dress in vintage clothes, these hats are looking to be enjoyed! Lucky Zelda is taking a big step in a couple of weeks. We are heading to the Orange International Street Fair in Old Town Orange, California. Labor Day weekend of 2009 marks the 36th annual anniversary of this super fun event. Lucky Zelda will have a booth in this year's fair & is looking for you to stop by to say "Hello" and see the latest we have to offer. Stay tuned for our booth's exact location. I was pleasantly suprised this evening to find that my petticoat has been included in a treasury on etsy. Spacestich curated this sassy little collection & I think she did a great job. Please click on the link to check out the treasury and then go visit Spacestich's fun shop. Mahalo for including my work in your treasury Spacestich! Amberalexander is a shop I've loved to go through for quite some time now. I thought I'd now introduce you to this great little find. The watercolor paintings and prints are beautiful. The pictures just seem to tell a little story of whimsy that make me smile. 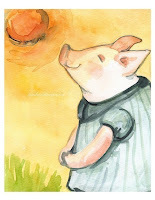 Whether it's a kitten doing arithmetic, a piglet in a sweet little dress enjoying the sunshine (one of my favorites pictured here), or two bears waltzing in the grass, these works of art are something to be noticed. Please check out Amberalexanders shop and blog. They are both treasures I am glad to have found. The hinged purses at Lucky Zelda hold much more than one expects. Yet at shows and faires I am told, I need to carry a larger purse than that. Previously Lucky Zelda purses were only available in a 6" size. No more! Now available is a 10" and soon to come are 8". These two purses are now available at Lucky Zelda with more to come in the near future. If you would like a custom purse made to your tastes, please feel free to contact me & let me know. Click here for details and more photos of this fun pink purse. Click here for details and more photos of this beautiful grey purse. I was greated this morning by a lovely little treat! Shay of Simplydoodles sent me a convo letting me know that she had included one of my items (the 70s style halter top) in her treasury. She did a great job on this treasury. Please click on the link to check it out in Etsy. The more clicks a treasury has, the more likely Admin is to see it. Please also check out Simplydoodles. She's got great banners to choose from for your shop and/or store. Thanks Simplydoodles fro including me in your treasury! This morning I read through some of the recent "Featured Seller" articles. While reading chakrapennywhistle's interview I came across this little treasure. If you love another shop, convo them and let them know. We are usually one person in our workshop, sewing room, or corner of the living room. We all belong to a giant community of like-minded people. I think that we tend to forget that the person behind that amazing shop is just like us. This is something that I have done in the past but am now committing to do more often. I sometimes keep myself from doing this because I don't want to shop to think "if you like my shop so much why don't you just buy something?". But that's me playing devil's advocate and it's keeping me from encouraging others. I love it when someone compliments me on my products or shop. I love it when I'm informed when one of my items has been featured in a treasury or blog. Why not share the love? Thanks to chakrapennywhistle for the encouragement to encourage. Btw: your shop is amazing! Your photos showcase your items beautifully. My husband has been after me for months to get this section of Lucky Zelda up and running. Apparently theatres being dark & me outta work for a while is what is took to make it happen. Just in time for Fathers' Day and graduations, "Mens' Aloha Wear" has been added to Lucky Zelda. This section will feature the your not-so-typical aloha shirts for men. 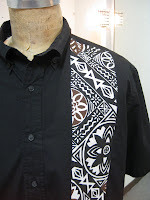 I have altered a purchased shirt by applying polynesian printed cotton to the shirt fronts. My husband and his brothers LOVE these shirts as they are unique to both a normal shirt and an aloha shirt. Swing by Lucky Zelda to take a look. And as always, let someone know! I was just made aware of a new Etsy shop named Turlis Turnings. Everyone should check it out. It features hand turned and hand polished items such as pens & bottle stoppers. These items are GORGEOUS and are perfect for Fathers' Day, engagement party, wedding shower or wedding gifts. Check out Turlis Turnings and buy handmade whenever possible! This Saturday, April 25th Queen DeLuxe and I are participating in San Gabriel's 20th annual Grapevine Festival & Car Show which is an awesome craft show and this is the 2nd year they've added a car show. This is to be an event not to be missed. Typically it's been a 3-day event seeing 10,000 people walk through. This year the event is only one day but we're hoping all of those 10,000 still show up. If you're in the area or are ready for a road trip, please stop by to see us. The event is open 10am - 7pm. Earlier I wrote about my friends new Etsy store, Queen DeLuxe. Well now you REALLY have to check it out. If your a geek, she's got boxers made from vintage Star Wars sheets. If you know a baby, she's got totally cute onsies & matching burp cloths. I've added her Etsy mini right below mine so you can get a little looksie. Check her out! I've recently added a section to Lucky Zelda, "Clothing With Vintage Style". I've been wanting to have items for a section like this since I opened my shop in May of 2007. I'm not sure what took me so long but I've done it now. All of the items in this section are and will be handmade by yours truly and will be of the highest quality. So far there are 3 items that are 1940's fashions. Check them out. Two A-line skirts and a gorgeous pair of trousers. I have a 1950's sundress in the works so stop by Lucky Zelda soon to take a look! I found this treasury on Etsy purely by accident. I was just randomly clicking on the pages of treasuries & came across this treasure. HaHaHa. Take a look. It's really cute! And no I am not included in it. Just opened earlier this week is a new shop on Etsy named Queen DeLuxe. This is a shop to keep an eye on. Only two items are listed so far but they're both AWESOME! Perfect for your Star Wars fan Valentine, boxer shorts made from vintage sheets from A New Hope & Empire Strikes back. I've been told by the shop keeper that there are many more great items to be listed soon. Please go & take a look! I've added several more vintage scarves to my shop & have a pile left to photograph & list in my shop. Check out my shop to check them out! How exciting! That didn't take long. Today was my first sale of the year. Vicki from Texas bought my favorite handle purse (the one I use for my avatar). What a great way to end a week with a lousy cold! Thanks Vicki for your order. I hope you love your purse!